How Modern Technology Can Be Part Of Your Parenting Plan | Sandra Bonfiglio, P.A. When parents get divorced, they often need to make lifestyle changes to adapt to their new circumstances. When parents no longer live with their children full-time, they benefit from establishing creative means of communication to stay involved in their child’s daily life. When establishing a time-sharing schedule and parenting plan, don’t overlook the many ways in which our modern technological tools can make communication easier. Get with the cellphone plan: Even very young children are capable of using cell phones. You can communicate directly with your child without having to go through your ex by providing each child with a phone. Buy a package that restricts use of the phone and a lanyard designed to hang around the child’s neck. Decide how you and your ex are going to share the bill. Text when you can’t call: Texting is a great way to communicate when you are not free to talk. Texting a short, loving message in the middle of a workday can help you and your child feel connected in a quiet, unobtrusive way. Learn how to use social media: Your child might restrict your access to certain information, but being connected on Facebook, Twitter or other sites can offer you a great window into your child’s world. Skype and videoconferencing: When you are out of town, out of the country or simply haven’t seen each other in a few days, videoconference tools allow you to speak with the fabulous addition of visuals. Video enables you to read your child’s mood more accurately and share important moments and events you might not be able to attend — and, it’s free. Divorce does not have to spell the end of your relationship with your child. A few tools and a great deal of determination can help you form a deep and lasting bond with your child, regardless of your living arrangements. 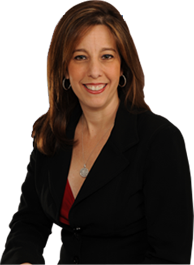 Fort Lauderdale divorce attorney Sandra Bonfiglio, PA would like to help you with your parenting plan and all of your divorce needs.